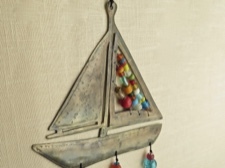 The eclectic mix of glass beads, iron pieces and the melodic sound of Nana bells make this unique, hand assembled chime great for indoors and outdoors. 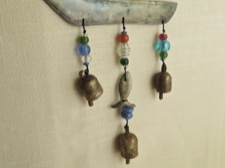 Hear the soft, gentle and mellow sound of these handmade bells. 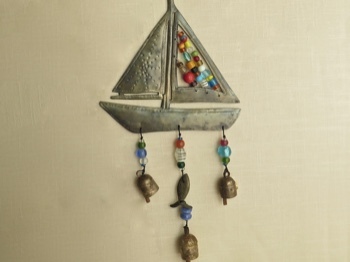 Sailboat is 9 inches wide. The total length of the chime is 26 inches. 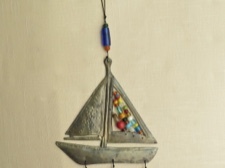 Lovingly handmade in India.